Rosemary Rosmarinus officinalis is a perennial plant that grows in the Mediterranean area, especially in Spain, Italy, France, Greece and Egypt, and is now present throughout the world. It gained great popularity in the 8th century, when the Romans brought it to southern England. The wild aromatic plant can be found in places where there are rocky slopes of limestone by the sea. It is known for its flowers characteristically blue-purple in colour and the leaves that resemble pine needles and rosemary shrub that reaches a height of six meters. The reason for the great popularity of this plant is its aromatic fragrance and essential oils that are made from it. In the following text will you discover how you can use rosemary as a cure for various diseases and health problems. This Mediterranean plant was used for centuries as a spice in food preparation, and usually can be found in Italian cuisine. However, in addition to many dishes it gives a nice and pleasant taste. By consuming this plant it speeds up the metabolism and cleans the digestive tract. Rosemary as a remedy in folk medicine is recommended for people who have problems with the gall bladder as well as those who suffer from frequent bloating. It was very successfully proved that it improves the functions of the brain. In fact, in the traditional medicine Greeks and Arabs have long used rosemary tea for better memory, and even today this drink is used for the same purposes. In addition, some new medical research suggests that consuming 750 mg of dried rosemary with tomato juice may improve memory in healthy adults, and prevent dementia in elderly, and reduce the possibility of getting a stroke and the development of Alzheimer's disease. In the fight against stress synthetic drugs are often used and are expensive. To avoid the use of these medications, we recommend that you use rosemary every day as a cure by drinking tea from this plant and one cup in the morning or in the evening. We have already mentioned the benefits of essential oils of rosemary, and we advise that you mix it with lavender oil and add a little sea salt, you will get a very pleasant freshener that will both relax and relieve stress and tension with its pleasant aroma. If you have a problem with low blood pressure and circulation, you can in a natural way use rosemary as a heart drug that would eliminate these problems. It takes just one cup of tea from this plant daily and after 20 days you will feel significant improvement in health status. Another fact that will intrigue you to use rosemary as a medicine is that it successfully solves the problem of anaemia, especially in children. When an inflammatory disorder comes in question, rosemary as a drug can be used for eliminating the troubles caused by gout. It was also successful in the fight against asthma, arthritis, various forms of eczema, thanks to acid, which is very healing and beneficial, and is thought to prevent the occurrence of melanoma of the skin and has antioxidant properties to fight cancer. Since it contains high levels of essential oils, this plant can also be used in aromatherapy and in the preparation of various lotions in the cosmetics industry. Most often it is found in products for skin care and hair care. Therefore, rosemary as a remedy for hair gives fabulous results when fighting alopecia. The application of a mixture of oil of this plant along with lavender, thyme and cedar directly to the scalp soothes all inflammations and irritations and provides a faster hair growth. It is necessary to take two tablespoons of tea of ​​rosemary and sage, and to pour it in a litre of boiling water. Cover the bowl and let it sit for two hours. Then strain it into a separate container and add 1 litre of apple vinegar. This whole mixture pour into a clean glass bottle. Use rosemary tincture by massaging scalp for 10 minutes each day. After treatment, allow it to dry on hair and for scalp to absorb the mixture. We suggest that you use rosemary as a hair lotion, and if you have problems with the appearance of dandruff and seborrhoea. You will probably be pleasantly surprised at all the ways rosemary can be used as a medicine, and we will add another interesting recipe that is very simple. 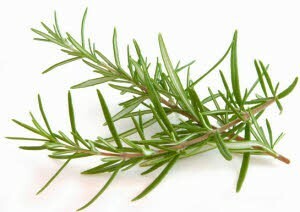 To make an essential oil of rosemary, it is necessary that in August, when the plants flower to pluck fresh leaves and tops of twigs and allow them to completely dry. Take a clean glass jar into which you insert one or two dried twigs with leaves and drizzle them with olive oil. It is recommended that you keep a jar for two weeks in a dark place. After that period, strain the oil of rosemary in another jar and it is ready for use. This plant was used in ancient Rome as a part of everyday cosmetics. As then, so today rosemary oil seems very beneficial to the skin because it cleans it of many bacteria, removes dead cells and gives it softness and elasticity. The most important thing is that all these effects are achieved immediately, and does not dry out skin. Because of its calming effects, you should know that rosemary as a cure for acne achieves phenomenal results. It is necessary to make tea from this plant, soak a gauze in it and three times a day imbibe areas where acne and pimples appeared. First you will notice that it relieves inflammation, and reduces redness and making it disappear. If you want to prepare a pleasant, healthy and refreshing drink, ​​rosemary tea is the right choice. It is necessary to one to two teaspoons of this herb to pour with 2 dl of cold water and cook until it boils. Then cover and leave for about half an hour to rest. Thus prepared tea of ​​rosemary can be drunk two to three times a day, depending on the needs and the results you want to achieve. Very useful natural cure for rheumatic pains is obtained if you take two tablespoons of rosemary leaves and dip it in 1 a litre of white wine. This mixture is to be left to stand for 6 days, and then to be filtrated through the strainer or gauze. The recommended dose you should consume is one cup in the morning on an empty stomach. Rosemary wine against rheumatism is a useful and effective remedy, because it has a beneficial effect on the heart, improves its work, encourages discharge of excess water from the body through urination, and in addition normalizes circulation. The use of rosemary in any form is safe if properly dosed and the current scientific knowledge says that it is completely safe for all people. However, we warn that oral administration of inadequately diluted rosemary oil can cause vomiting, bleeding of the uterus, kidney irritation, increased sensitivity to sunlight, redness of the skin and allergic reactions, so be extremely careful. Particular attention should be turned to pregnant and lactating women, as rosemary can stimulate the appearance of menstruation which can affect the unborn child and thus cause abortion. We recommend that you previously consult with your doctor before using these plants. Since it contains a chemical salicylate, which is similar to aspirin, use of rosemary is not recommended for people who are allergic to aspirin. Also, we do not recommend using products from this plant before going to sleep, because it reduces the need for sleep. Rosemary is planted in early spring, so it is placed in the ground at a depth of a few inches. It is advisable to do it in an enclosed space in the house, in a medium sized pot. After that, when the period of frost has passed, you can re-plant t it into your garden and place it in a sunny place during the day. In the fall it is necessary to shorten it so as not to allow it to grow too wide. You can always during the winter grow this plant in your house, just be sure to always keep it in a warm place where they will have enough sunlight, to ensure its fine progress. If you do not grow rosemary at home, you can obtain a flowering plant in the local nursery. The price is quite low and is around only 1 dollar per tree, which usually comes with the pot. The time when this plant is on sale is spring. If you want to buy rosemary tea, you are advised to obtain it in health food stores, not in supermarkets in filter bags. It is available for purchase via the internet, a price of 80 grams is about 3 dollars. Rosemary as a medicine has been used since ancient times and is present in folk medicine and is increasingly used in modern phytotherapy..